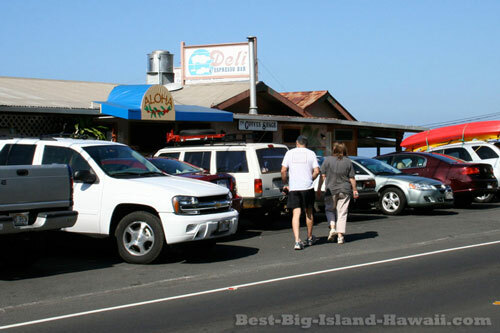 This is my #1 favorite place to eat on the Big Island. 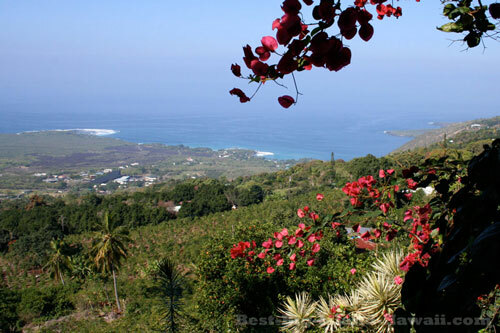 Located on Highway 11 about 15 miles south of downtown Kona (between mile markers 108 and 109), this fantastic little restaurant sits at an elevation of 1,400 feet and offers incredible views of Kealakekua Bay from their lanai (patio). The place actually does look like a shack but don't let that deter you—the Coffee Shack is the place to be. People come for the food and stay for the view. They're open for breakfast and lunch (7:30 am - 3:00 pm) and are a great choice for either. The breakfast menu is simple but excellent with several classic egg breakfasts available. The also have some great fresh fruit options including a half of a papaya filled with other fruits and served with eggs and fresh yoghurt. Homemade pastries including muffins, scones and cinnamon rolls make a nice add-on to any breakfast dish. 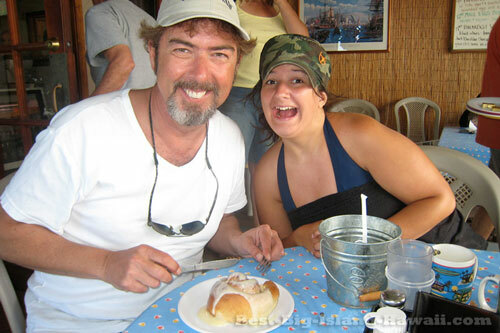 And, of course, they're known for serving up fresh Kona Coffee made from beans grown on their own estate. My favorites here are the Eggs Benedict and the cinnamon rolls (it has to be both, so I always come hungry!). The lunch menu features deli sandwiches on your choice of bread plus pizzas and salads. The Ruben and the Hot Pastrami sandwiches are both very good—the best deli sandwiches on the Big Island! I personally think it's worth the drive down from Kona just to eat here, but since it is a bit of a drive, it makes an excellent first stop on a snorkeling trip to the bay nearby or to Hawaii Volcanoes National Park, South Point or other south island destinations. 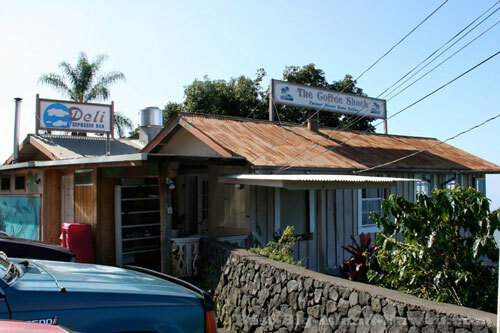 Either way, do not miss this restaurant during your time on the Big Island! See The Coffee Shack Website for their full menu.